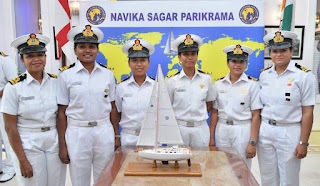 Prime Minister, Shri Narendra Modi, has conveyed his best wishes to the 6 women officers of the Navika Sagar Parikrama, who will begin their journey of circumnavigating the globe on board INSV Tarini, on 10th September 2017. 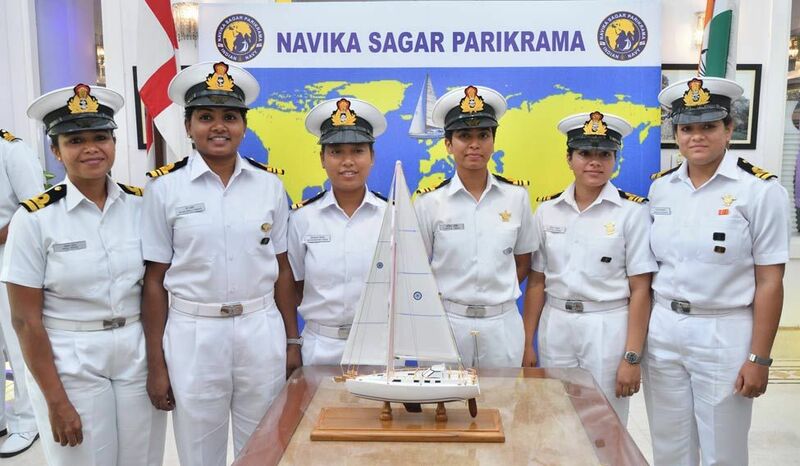 This is the first-ever Indian circumnavigation of the globe by an all-women crew. They will begin their voyage today from Goa, and expect to return to Goa in March 2018, after completing the circumnavigation. The expedition has been titled Navika Sagar Parikrama. The Parikrama will be covered in five legs, with stop-overs at 4 ports: Fremantle (Australia), Lyttleton (New Zealand), Port Stanley (Falklands), and Cape Town (South Africa).